Alfred at work in his Market Place workshop. 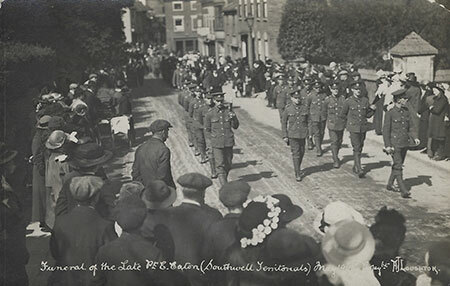 It is not known who took these photographs. 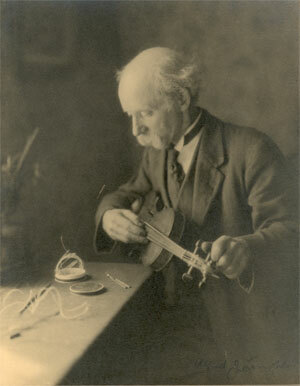 Alfred was often found in his in his workshop making violins. Here he takes advantage of light coming through the not-so-clear widows to aid him while he works. 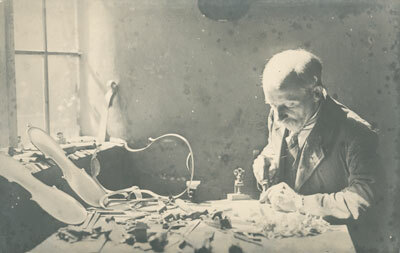 Alfred sitting by the table by the window tuning a violin. Going by the amount of violin string on the desk Alfred must have just re-strung or is stringing the violin for the first time. 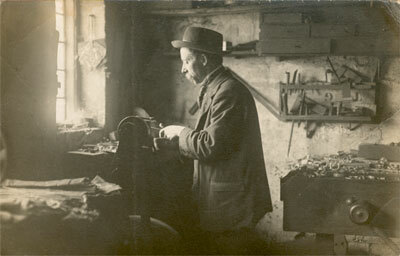 Alfred working at the lathe in his workshop.